The aging population means increasing numbers of people in older age groups, who are living longer and have increasing healthcare needs. As a result, the demand for healthcare will increase with a beneficial impact for people in the healthcare industries. Most healthcare patients require in-person service much of the time, which means jobs that are harder to export to countries with lower labor costs. Employment in home healthcare and residential care should increase rapidly as life expectancies rise and as aging children rely more on long-term care facilities. Advances in medical technology will increase the number of people who survive severe illness and injury, such patients will require longer-term therapy and care. New technology and medical breakthroughs will make it possible to identify and treat conditions that were previously unknown or untreatable. Medical group practices and integrated health systems will become larger and more complex, increasing the need for administrative help. Industry growth also will occur as a result of the shift from inpatient to less expensive outpatient and home healthcare because of improvements in diagnostic tests and surgical procedures. In addition, many patients would rather be treated and/or recover at home. Jobs within the typical inpatient hospital scenario are expected to grow the least, while occupations outside that realm, such as pharmacy technicians and home care aides, are expected to grow rapidly. Hospitals will be the slowest-growing segment within the healthcare industry because of efforts to control costs and the increasing popularity of outpatient clinics and other alternative care sites. Because of cost pressures, many healthcare facilities will lower staffing levels to reduce labor costs. Where patient care demands and regulations allow, healthcare facilities will substitute lower-paid providers instead and will cross-train their workforces. Technology will effect healthcare jobs, as it does jobs in all industries and healthcare professionals, like professionals in all other fields will need to pursue on going education to maintain maximum employability — if you aren’t developing new skills every year, the skill set you have is rapidly becoming obsolete and this could have devastating impact on your ongoing employment prospects. 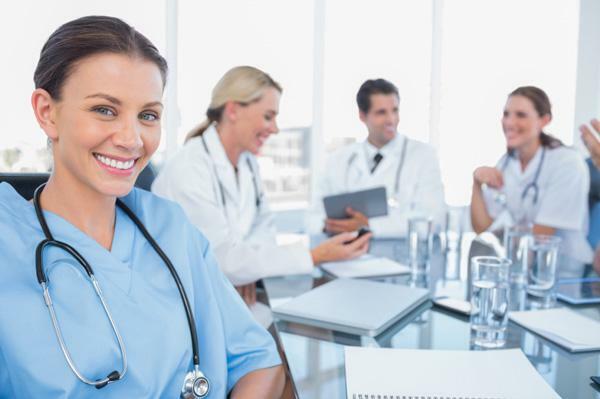 These are the 12 fastest growing jobs in the healthcare profession and they're also 12 of the 30 fastest growing jobs in all professions — which tells you something very positive. You can find more complete information on these jobs and all the growth jobs in this sector at bls.org. Monster Wants to Know: What's your dream healthcare career? Share with us in the comment section.